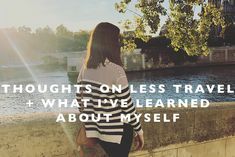 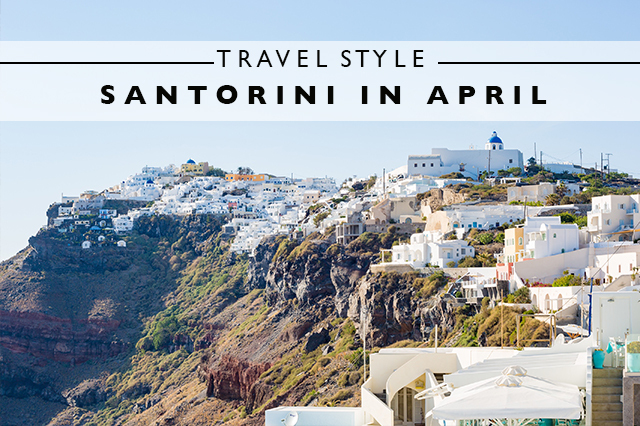 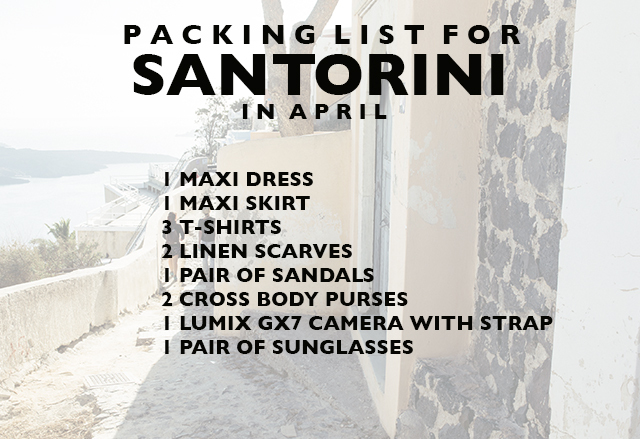 When we knew we’d be heading to Santorini for the last few days of our trip through Europe in April, I knew immediately what I’d pack! 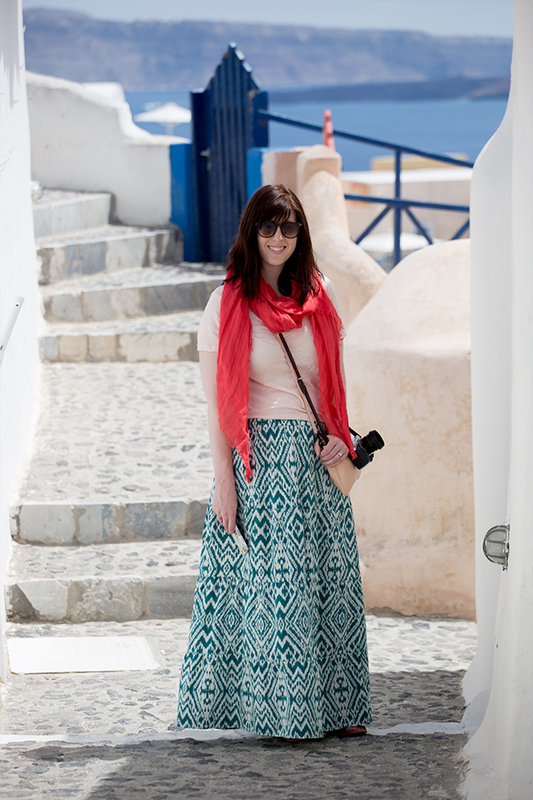 Maxi dresses and skirts in exotic patterns along with bright linen scarves and of course my Lumix camera. 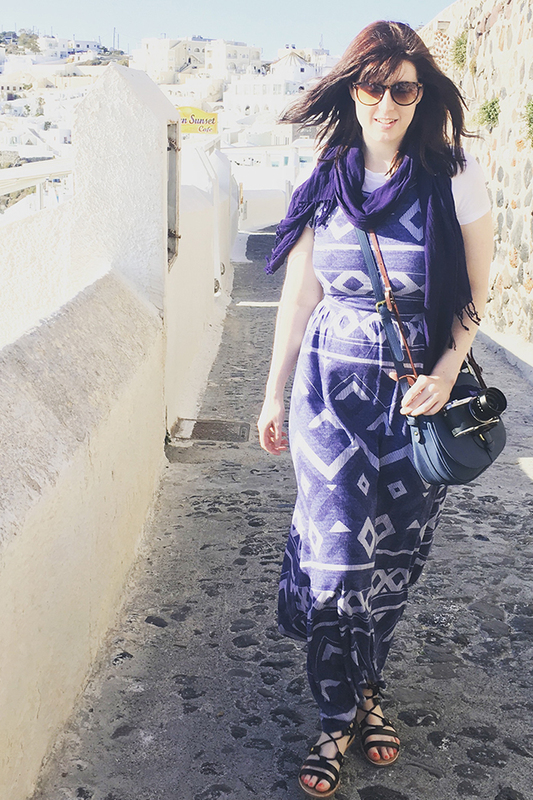 The weather was pleasant in April, warm during the day but cool in the evenings, so the scarves were the perfect addition to dresses during our time in famous Santorini!